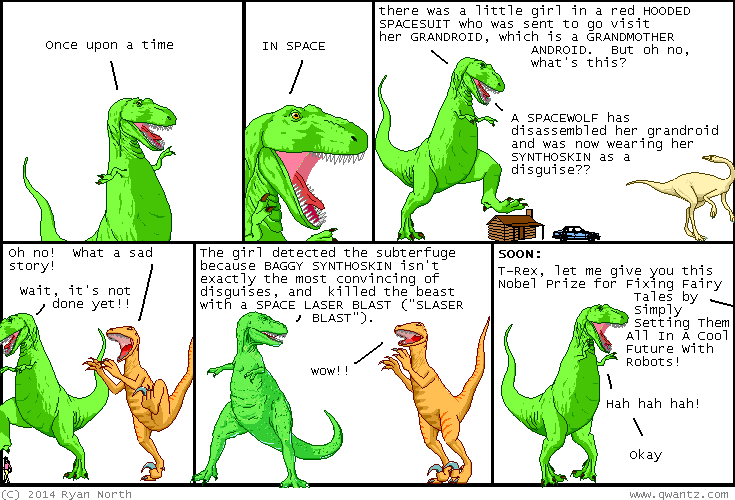 Dinosaur Comics - May 21st, 2014 - awesome fun times! May 21st, 2014: This tale features the classic stock character, Space Wolf, Who Is Not To Be Trusted. You know what's out today? 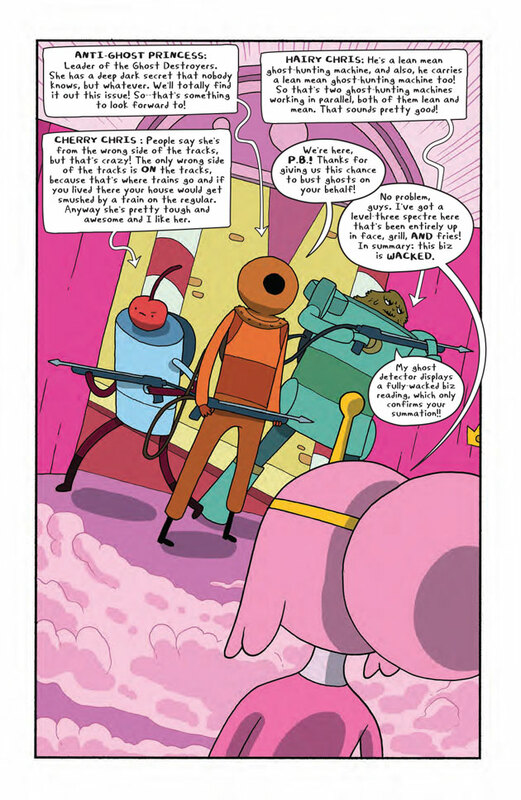 Adventure Time #28, featuring Finn and Jake as SPOOKY GHOSTS! You can read a preview by clicking on this here crazy picture! One year ago today: okay okay but let's see if your 20 questions computer can guess "a puppy version of batman"